Fig. 1. 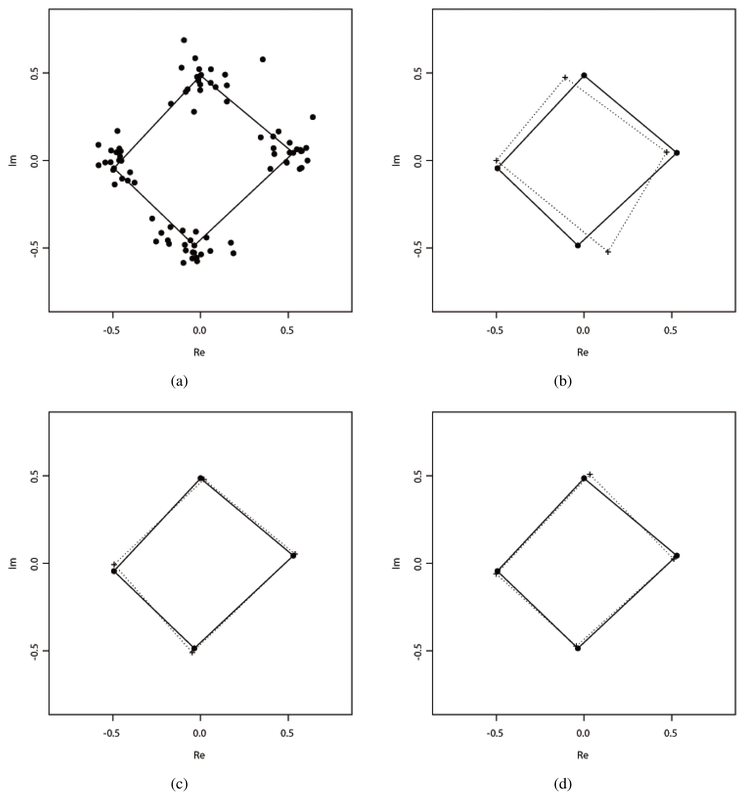 Procrustes mean shapes displayed with ε = 0.2 in low data set of ; (a) the centered and scaled landmarks and true mean shape, (b) LS, (c) M, and (d) LMS, where the solid line is true mean shape and the dotted line is the estimates of mean shape. LS = least squares; M = M-estimator; LMS = least median of squares.